TUNE IN to the gifts of reflection and insight that this period of Mercury Retrograde can bring. “Mercury the planet that symbolizes communication and the linear mind moves into the futuristic sign of Aquarius on January 5th, 2016. “From about January 18th through January 30th, 2016 Mercury in Capricorn continually makes an aspect to Uranus/Pluto transit. “It’s wise to slow down while driving, pay attention to surroundings, be patient in communicating and with sudden changes or upsets. There is potential for a dynamic spark or ignition of something during that time period. “By the end of the month, as Mercury in Capricorn at 15 degrees shifts into Direct motion on January 25th, 2016, it does so with an intense symbolic burst stimulating the already raw and creatively potent Uranus in Aries ‘square’ Pluto in Capricorn. “Expect the unexpected. Be prepared to alter plans and make sudden changes. There is rich potential for major breakthroughs, realizations and revelations now. Use this symbolic nudge towards venturing into the unknown adventure and to broaden horizons. “Interesting revelations may unfold through unusual sources or situations. Remain flexible and move with the changes rather than resisting them. “As with all Mercury retrograde periods, things from the past will be reevaluated, re-examined, or understood differently. “For example, we may get new insights or understanding about someone who used to be a friend, or someone who was a group colleague, or something related to our honor, public standing, or profession. “Some will remember old goals and ambitions, or even why an interaction had the effect of showing us something that had to be re-examined in light of our goals at the time. “It’ll be a good time to shift gears around old obligations, duties, and structures, and get free of those which have kept us in adverse conditions. “And of course, it should be a good time to see how our life structures hold up or not when confronted with a challenge, and quicken as things come to a head. “This Mercury retrograde will offer us opportunities to look back and distill a different sense of vision, and for some how they can contribute to a better world through some sort of idealistic yet practical service. “Others may get a new sense of group work, or a different overview of how past friends either helped us fulfill our goals or frustrated them. “All of us will get glimpses of how our past experiences and choices resulting from the last Mercury retrograde have led us to a new view of possibilities. “Consider the next 3 weeks as an opening of liberating conditions that will sometimes abruptly move us into new directions and new work. Some will get new insights into old friends and public work done with others, and perspective about what happened in a prior time of life. “For all of us, during the next several weeks the future that’s already rolling forward will slow a little so we can get a new look at crucial elements of the process we cannot afford to ignore. “Mercury Retrogrades in 2016 ALL feature the earth signs (Capricorn, Taurus and Virgo). That makes it a year of refining how we go about turning dreams into concrete, lived day-to-day reality. “The earth element is a stabilizing one, that can root us in a rhythm of purpose…Mercury symbolizes how we make sense of reality — it’s the way we shape perception, and visualize the steps to making things happen. “And after the surreal year of 2015, when reality itself seemed fluid, an earthy Mercury retro series inspires a more practical mindset. It’s a year to bring an idea — or dream — into form, or find new ways to use your natural gifts. “Completion is a big word in Capricorn’s vocabulary. And this retro time gets you thinking about how to achieve your loftiest aspirations. You might recommit to a goal, and possibly retraining or recertification. I just love Dipali Desai’s words “Planets do not cause anything in Astrology. They symbolize themes within consciousness” – so perfect, really helps me understand astrology in a more simple clear way. That we as souls living on Earth are not just under the influence of the greater universe or Source, rather we are that Source, we are a reflection of the universe so much so that we cannot be separate from it, Us and the planets are one and the same. Fascinating, as always!Time to slow down & pay attention…Beautifully worded insights here for Mercury retrograde. Thank you! Love this so much. Thank you!! I truly wish it had read this earlier today, as I am truly ashamed at how I communicated today following an accident. I pray the universe will forward my sincerest apology to the person concerned. My difficulties are one ones fault. Please gracious Mother Earth and Father Creator forgive my actions and give me the strength to forgive myself and retreat to the quiet inward reflection. These are the most amazing things I’ve ever read. My eyes are open once more. Everyone I know including me cannot sleep is it because of the retrograde? Thank you for this. During mercury retrograde I am often scared to talk to anyone as Mercury rules communication. I get afraid that there will be a misunderstanding or something of that nature. Definitely going to be more of an observer during this retrograde as there are too many serious life situations going on around me. Maybe I’ll do something creative that will be somewhat meditative taking me inward to reflect. Thank you. I dread when mercury goes into retrograde because I encounter obstacle after obstacle when trying to get the simplest of things done. It was a great reminder to slow down and use it as a planning and reflection time rather than “get things done” time. Much love and grace to you for your time and energy given to this site! This site saves my life! Thanks be to all who contribute to our collective understanding. 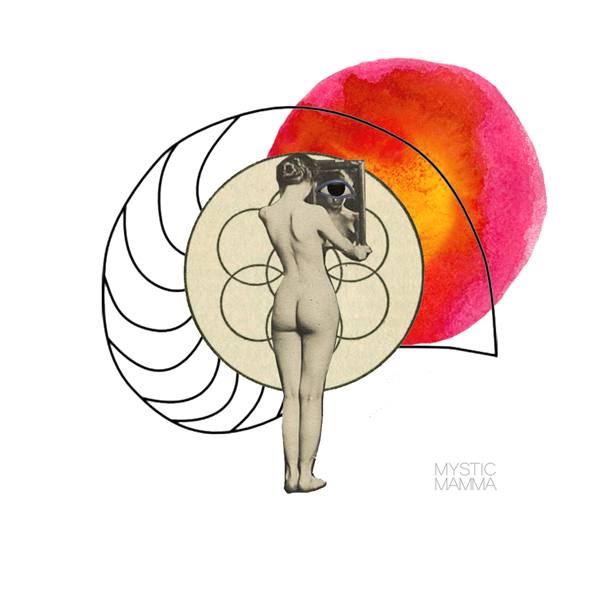 Also I am simply inlove with all the art that you display Mystic Mama! Aho! it all makes so much sense to me now! since I was 9 years old i’ve wanted a horse and dreamed about it my whole life. I am now 22 and am just finally making my dream a reality. Finally realizing this is my purpose, I am Gemini sun, Taurus moon and Taurus rising. Love stumbling upon this great little site! Mercury retrogrades have always been hmmmm….interesting periods, some fraught with more challenges than other times. I usually just weather it and try to employ the positive effects I’m aware of that a retrograde can offer and work them to my best advantage. Of course I’m always mindful to take more care when driving & in communications. I’ve never before known what elements to focus on specific areas, like paying more attention to long-held dreams that could be persuaded to bloom. Of all years, this one has the most potential for that to happen for me!